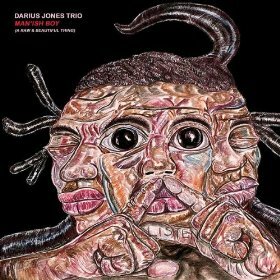 Virginia-born saxophonist Darius Jones wants to tell his story, and he’s chosen as his vehicle his new album, Man’ish Boy (AUM Fidelity, 2009). This is an album born of economic poverty and emotional wealth. Joining Jones are multi-instrumentalist Cooper-Moore and drummer Rakalam Bob Moses. This powerful and beautiful album is an important statement by a voice that needs to be heard. Learn more at Darius Jones’ MySpace page.